Eduncle.com marks history with 1000+ Selections in IIT JAM,UGC NET & CSIR NET in just one year. 70% Students recommend Eduncle for its Practice Questions & Test Series. 85% Students find Eduncle’s Doubt Solution & Mentoring Services Outstanding. Empowering 2.6 Million Students every month, with the power of knowledge. 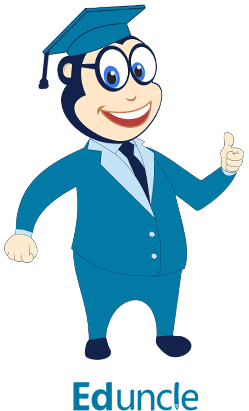 Over 10,000 Students get enrolled with Eduncle every year. Read their reviews to know how Eduncle has transformed the way students learn. I got so many practice questions along with the material and these practice questions are of similar difficulty level of exam. It is such a great experience wit Read More... h Eduncle, the theory is well described in easy language and the mock test papers helped me in practice well. Good study materials with simple language which covers all the topics. All the content is nicely categorized. Overall, I am satisfied with the purchase. 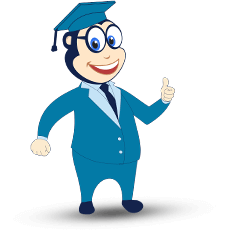 Best place to learn online for Competitive exams. Now I can prepare my exam preparations from anywhere according to my comfort and also satisfied with service a Read More... nd query support. thanks! I am preparing for Railway Exams and I have found useful information on Eduncle which gave me a complete guidance for my RRB Exam preparation, be it quizzes/not Read More... es/study plans etc. A big thanks to the team Eduncle. I hope I will be able to qualify/crack RRB Exam (in the first attempt) with your help!!! Best place for Bank exams preparation. Study material and test series are really helpful for the preparation. Have Questions, Problems, or Feedback?